For many Nashville drivers, the ideal five-passenger sedan is powerful, fuel-friendly, accommodating, while providing a safe form of transportation. The Mercedes-Benz C-Class and the BMW 3 Series are two vehicles that come to mind for many consumers with this checklist. To see which is the smarter choice for you, check out our detailed comparison below! We’ve matched up the Mercedes-Benz C-Class vs. the BMW 3 Series to help you determine which vehicle better suits your needs. Collision Prevention Assist Plus is standard on the C-Class. The Mercedes-Benz radar-based system is an absolute necessity these days. Radar-based technology alerts you if you’re approaching a vehicle ahead, or even some stationary objects, at a speed and distance that suggest a collision is likely. As soon as the driver starts to brake, the system can automatically provide an appropriate level of braking to help prevent a collision or reduce its severity. If you fail to respond, the system can also initiate braking automatically from speeds up to 65 mph. As BMW’s 330i makes a Driver’s Assistance Package an option, Mercedes-Benz doesn’t give consumers the option to go without it, improving the safety of the vehicle immensely. On IIHS.org (Insurance Institute for Highway Safety), the C-Class performs far superior when compared to the BMW 330i. Mercedes-Benz Driver Assistance Technology is rated far more advanced than BMW’s when tested. The ability of these systems on the C-Class outperforms its competition. Both cars come standard with a turbocharged four-cylinder engine. While the base C-Class C 300 produces a muscular 241 horsepower and 273 pound-feet of torque, the BMW 320i develops only 180 horsepower and 200 pound-feet of torque. You will definitely experience a more engaging performance in the new C-Class. In order to compete with the C-Class, BMW 3 Series buyers are forced to spend extra money on an upgraded engine. Like the Mercedes-Benz C-Class, the 3 Series is noted for its sharp handling. Nevertheless, only the C-Class can be equipped with an adjustable air suspension. The dynamic Airmatic suspension enhances the sedan’s responsiveness and overall ride comfort. The 2017 C-Class has a refined appearance that will never grow old. 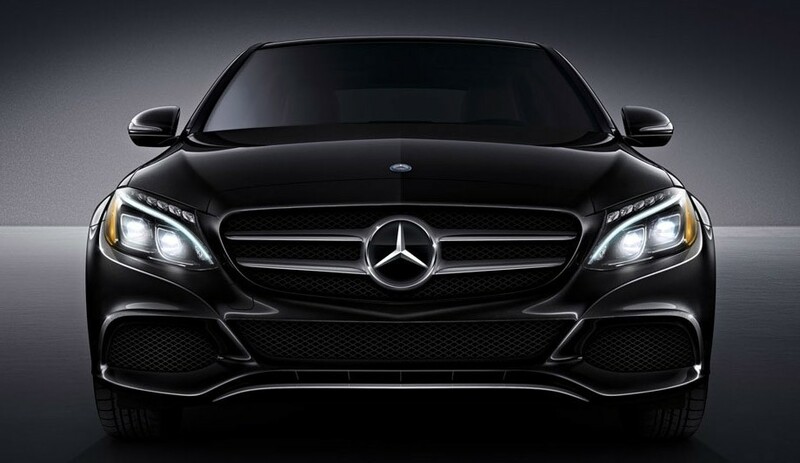 A bold Mercedes-Benz grille and a sleek hood enhance the sedan’s stunning profile. Muscular body lines make it look especially powerful on the road. LED lighting is available as an option. There are also several styling enhancements now offered. Featuring a special set of black-and-silver wheels and blacked-out exterior trim, the beautiful Night package gives the C-Class a custom look. Some of the classy paint colors include Obsidian Black, Cardinal Red, and Diamond Silver. While the BMW 3 Series is attractive, it does not demand attention like the new Mercedes-Benz C-Class. Mercedes-Benz offers a long list of extravagant features for the C-Class. Although the higher trim levels will tempt some buyers, even the base C-Class brings a lot to the table. Unlike the 3 Series, it comes standard with automatic braking technology. BMW 3 Series buyers must step up to a pricier model in order to obtain this safety innovation. While the BMW 3 Series can be equipped with lane departure warning, Mercedes-Benz goes a step further by offering lane departure intervention. If you happen to wander out of your lane, the system will immediately steer you back on track. An automated parallel-parking system and drowsiness detection further separate the C-Class from the 3 Series. The sedan’s GPS-linked climate control system is another feature not found on the 3 Series. 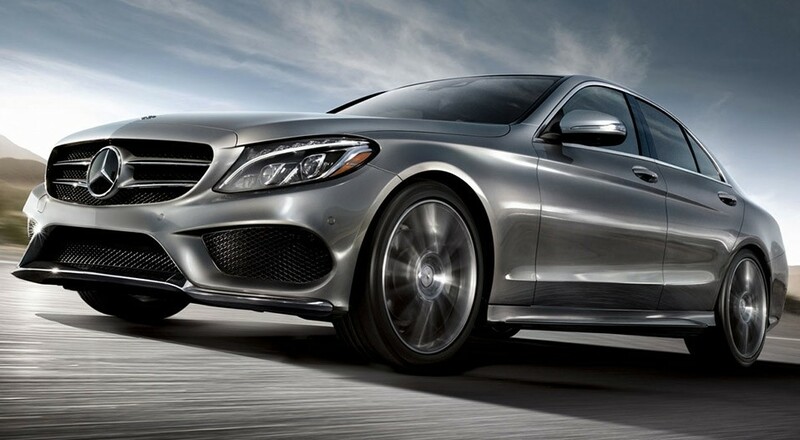 Get More with the Mercedes-Benz C 300! Spacious and better-equipped, as well as lighter and more maneuverable, the Mercedes-Benz C-Class emerges clearly superior to the BMW 3 Series. To more thoroughly compare the Mercedes-Benz C-Class vs. the BMW 3 Series, contact our sales team at Mercedes-Benz of Music City! We’re on call every day of the week to assist Nashville drivers!